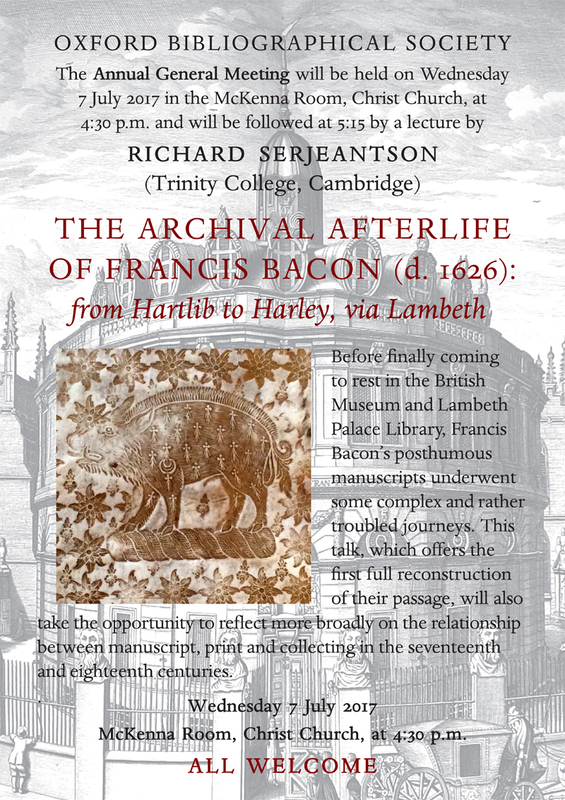 Before finally coming to rest in the British Museum and Lambeth Palace Library, Francis Bacon’s posthumous manuscripts underwent some complex and rather troubled journeys. This talk, which offers the first full reconstruction of their passage, will also take the opportunity to reflect more broadly on the relationship between manuscript, print and collecting in the seventeenth and eighteenth centuries. Dr Serjeantson's lecture will follow the Annual General Meeting of the Society (which begins at 4:30 p.m.). Refreshments will be served.